Burgeoning DJ and producer Bontan makes his debut on the notorious Hot Creations label. Hotly anticipated, the release features two original cuts to fuel his rising profile. UK based Bontan has been using title track The First Time as his secret weapon for the last six months and is now finally unleashing it. “I’ve been testing it and tweaking it play by play!’ he explains. ‘The vocal compliments the rolling bass melody and gives it a darker edge”. This a producer who fully understands how to create a track for a heaving dancefloor. Personal Question is the second cut and flips the mood entirely with a twisted vocal entwined in beeps and percussion, whilst stirring the sentiments of lost early hours. 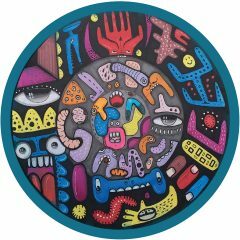 A firm favourite in the underground scene, he has built a solid reputation with releases on Circus Recordings, 20/20 Vision, and Cajual among others.